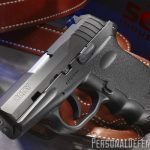 Whenever a new gunmaker appears, I am skeptical. I’m skeptical about the reliability and durability of the guns it makes, especially if they are of a new design and not another version of a tried-and-true one. In the highly competitive gun-manufacturing industry, one way a new manufacturer can get noticed and sell guns is to price them a lot less than the other guys do. When that happens, red flags go up and it is best to proceed cautiously. A cheap gun that falls apart after a few hundred rounds is not a bargain. 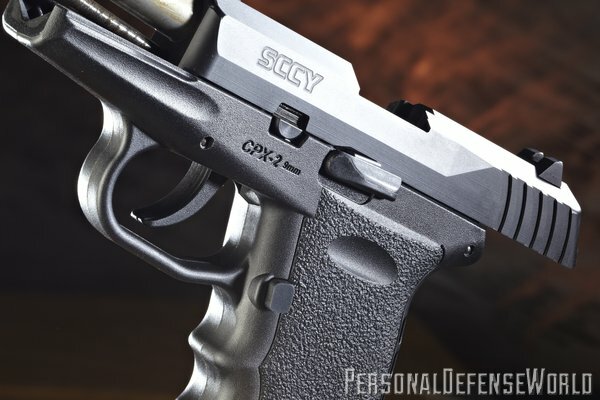 So when asked to review the SCCY CPX-2, I was particularly wary because SCCY Industries and the gun are both newcomers to the firearms community. 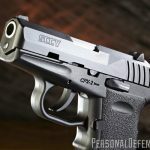 The company’s first pistol, the CPX-1, was introduced in 2005 and differs from the CPX-2 reviewed here because it has a thumb safety, but both are small and can easily fit in a pocket for discreet carry. With small guns, though, come other problems. They are generally harder to shoot because they are more difficult to hold under recoil, the sight radius is shorter, making them harder to aim accurately, and they are lighter, which means more felt recoil. 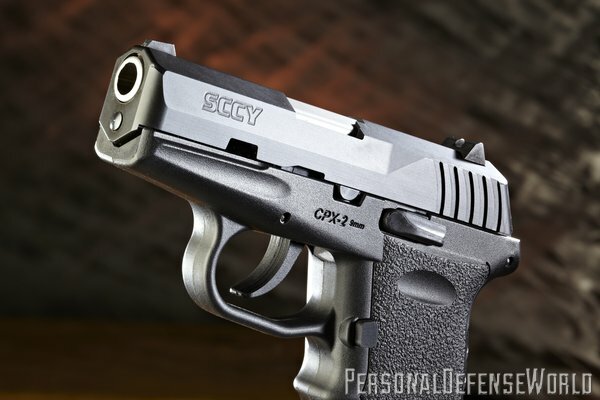 SCCY has addressed all of these issues with the CPX-2. 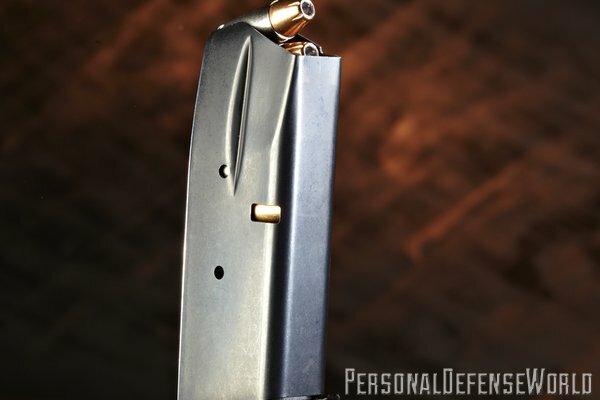 With a steel, double-stack magazine that holds 10 rounds of 9mm ammunition, the grip gives the shooter enough real estate to establish a good grasp. 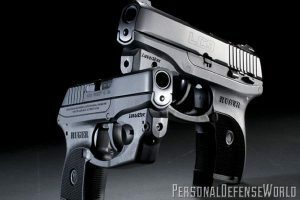 The gun weighs about 15 ounces unloaded, so it absorbs recoil fairly well, and the backstrap is wide enough to distribute the recoil impulse over a larger area—the kick is not as severe as it is with most small guns. Besides, the polymer frame tends to flex just a bit to further soften the recoil and SCCY has also put holes in the backstrap to act as shock-absorbing cushions. The sight radius is short compared to a full-sized gun, but the three-dot sights are full-sized, with a front blade and rear notch. And the rear sight is also drift-adjustable for windage. 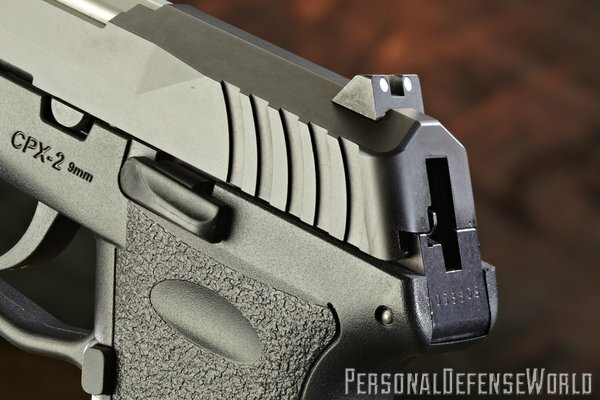 These are not the hard-to-see tiny sights found on so many small guns. This isn’t some pot-metal gun, either. The slide and barrel are made of 416 stainless steel. 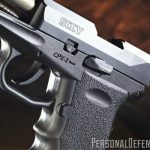 The test gun’s slide is nicely finished with a black nitride that is self-lubricating, but a nickel-plated version is also available. 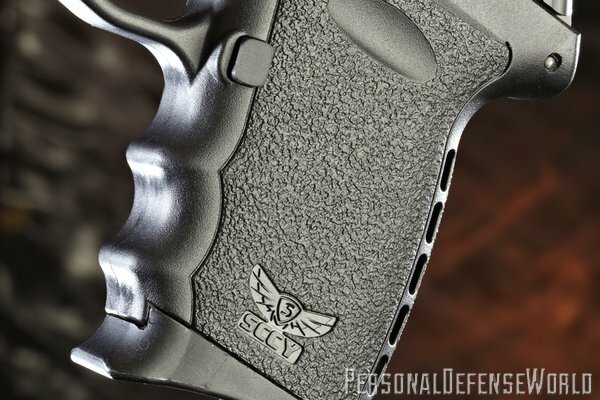 Those aren’t the types of finishes typically found on cheap guns. 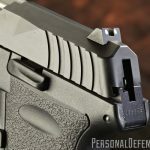 Additionally, the slide is nicely contoured with rounded edges so that it is less likely to abrade clothing, cut hands or reveal its outline under a garment. 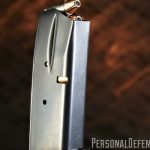 The hammer is recessed into the slide so that it won’t catch on anything when drawn from underneath a coat or from a pocket, and the double-action-only (DAO) trigger is polymer with a long stroke of about 9 pounds. It’s definitely not built for precision shooting, but does have a fairly even stroke with a bit of stacking just before let-off. The only other controls are the magazine release, which allowed the magazine to drop freely when pressed, and the slide catch, with a wide shelf that makes it easy to activate. After firing the gun to gain familiarity with it, I tested it for accuracy at 7 yards. Using a pistol rest, every one of the four loads tested averaged about 2-inch groups for five shots. Most people would agree that is an acceptable result for a small 9mm gun with a sight radius of only 4.5 inches. More importantly, the gun never failed to fire or function properly during testing. 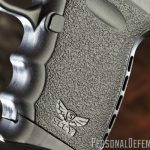 This says a lot about the pistol and its maker. Yes, this is an inexpensive gun, but it does not appear to be a cheaply made gun. Throughout testing the gun never malfunctioned. And SCCY provides a lifetime warranty. That’s the life of the gun, not the owner. 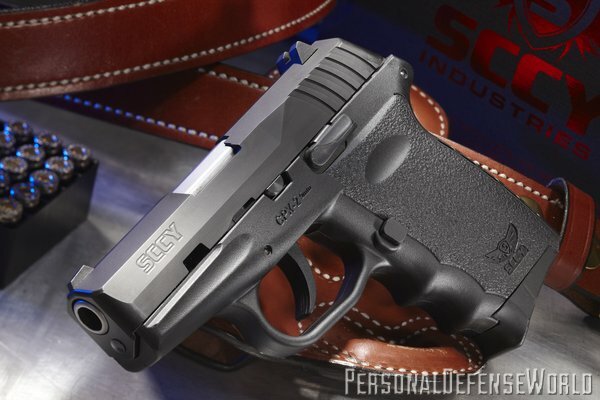 So, even though the gun carries a suggested retail price of only $299, the test gun was reliable and shooter-friendly. That combination is truly hard to beat. 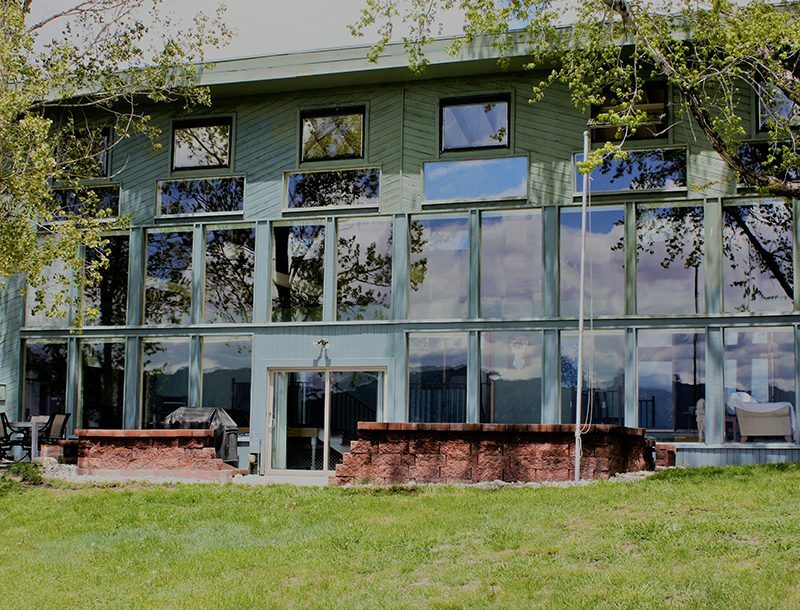 For more information visit sccy.comor call 866-729-7599.